Being a reliable name, we are focused towards delivering exceptional quality range, along with this, we follow strict guidelines and conduct regular quality examinations to ensure quality. We follow the globally accepted packaging norms that help us in delivering the products safely. Our professionals ensure that the packing material we use keeps the product safe from external damaging factors. 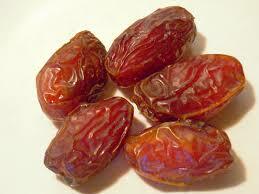 The dry dates we offer are a rich source of calcium, iron and calories and boost the energy level tremendously.